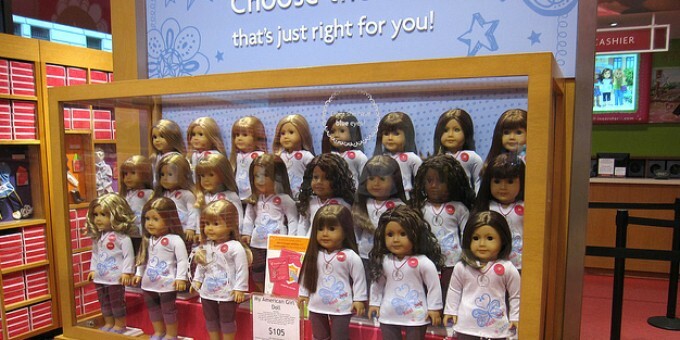 The American Girl doll company highlights its varying skin tones--but no mention of health disparities. InSapphoWeTrust, Flickr CC. https://flic.kr/p/bW3a69 Cropped for size. At the risk of stating the obvious, Black people’s skin tones are brighter and darker shades of brown, not a homogenous blob of black. These skin tone differences hold historical and contemporary significance as markers of distinction tied to unequal treatment. Light-skinned Blacks have tended to gain social advantages including access to more resources and higher social prestige than dark-skinned Blacks. Ellis Monk highlights this variation in the American Journal of Sociology. He examines the relationship between skin tone, discrimination, and health for U.S.-born Blacks. Monk finds that darker-skinned Blacks report more perceived everyday discrimination by both Whites and Blacks, but the patterns differ across racial groups. The darker a persons’ skin, the more they perceive discrimination from Whites. However, people with the lightest and darkest skin tones report more discrimination from Blacks. Those with a medium tone report less discrimination across the board. Skin tone and discrimination are also associated with physical and mental health in Monk’s study. Lighter-skinned Blacks were less likely to have been diagnosed with hypertension, while darker skin was associated with poorer self-rated physical and mental health and higher chances of experiencing depression. Skin color discrimination by Blacks was associated with lower self-rated physical health. 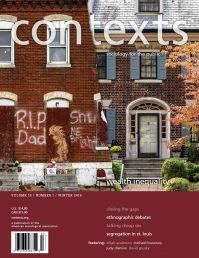 Monk adds an important corrective to studies of racial health disparities by emphasizing the role of colorism inside and outside of the Black community. Race is deeper than skin color, but it is important to remember that skin tone complicates Black Americans’ experience of race.